All of Chef Heather Flaherty’s menus – Breakfast, All Day and Brunch are wonderful. They only use the best of locally sourced ingredients and there are plenty of gluten free and vegetarian options available. The wine list is also excellent and reasonably priced with ongoing boarded special wines at very keen prices. I love going to McCambridges for breakfast. There are so many options to choose from including a Continental Breakfast, various scones, bagels and croissants, porridge and a large variety of hot breakfasts. My favourite is the Sweet & Spicy Pancetta and Eggs (€6.50) which is served with toast. 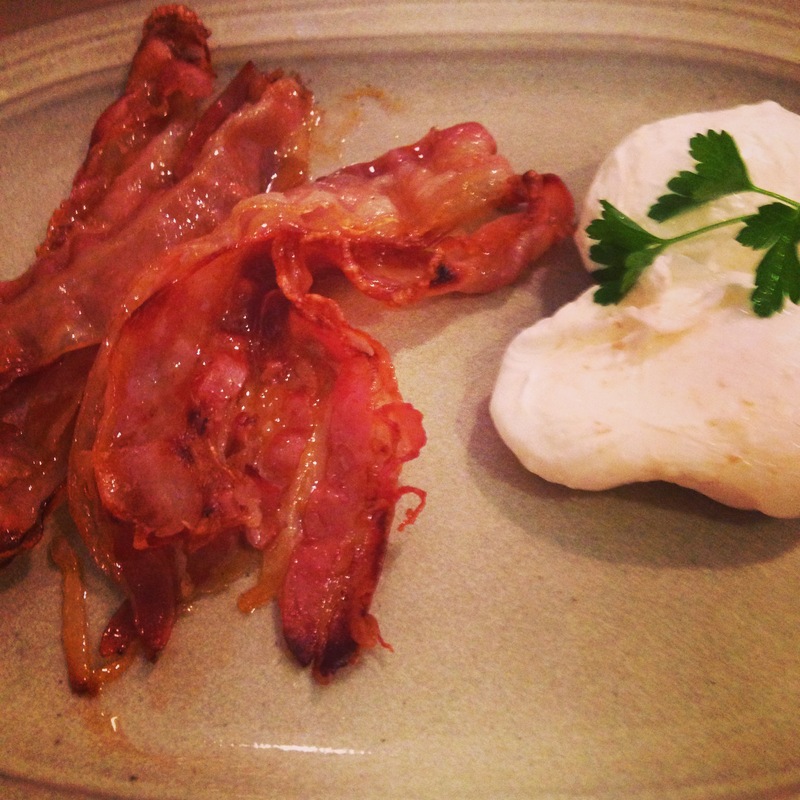 The Pancetta is worth a long detour for, probably the best breakfast in town. Other options include; Pigs on the Green Black Pudding Sausages & Eggs (€6.95), Sauteed Wild Mushrooms & Eggs (€6.95) and Brioche French Toast with Smoked Bacon & Maple Syrup (€6.95). There is also the fry-up – the Irish Artisanal Breakfast which includes Smoked Rasher, Black Pudding Sausage, Black & White Pudding, Homemade Baked Beans, Eggs & Potato Farl (€9.95). A vegetarian version (Sauteed Wild Mushrooms, Roasted Plum Tomato, Potato Farl, Hummus, Dukkah & Eggs) is also available for €8.95). The coffees are all really good and you can get your McCambridges Loyalty Card stamped in the restaurant also. The All Day menu features soup, nibbles, Cold Platters (Vegetarian Mezze, Charcuterie, Seafood, Cheese), Salads, Sandwiches, Hot Dishes and Desserts. 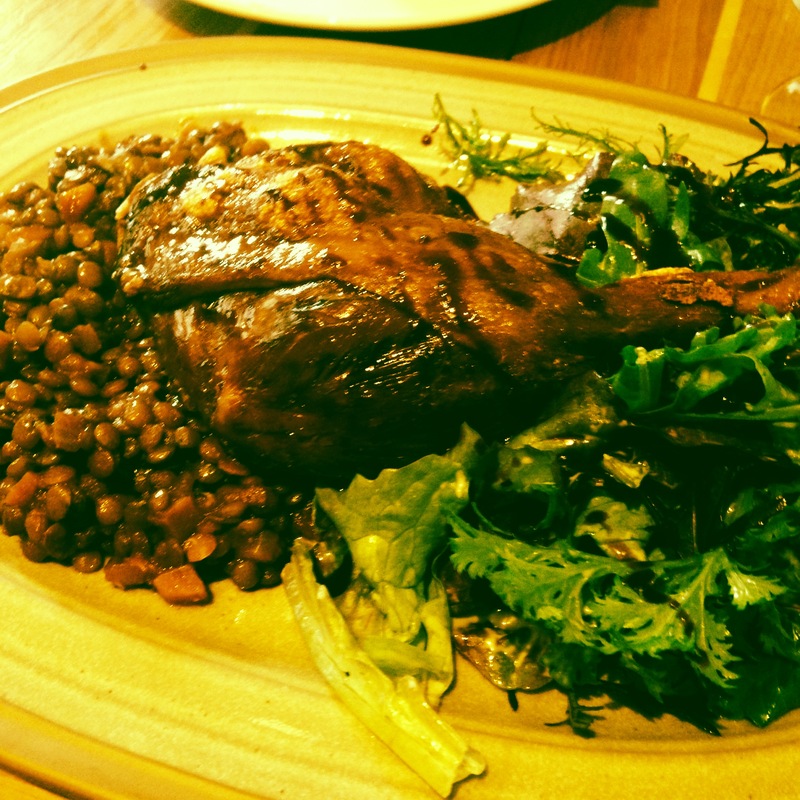 I particularly love the Crispy Duck Confit with Braised Puy Lentils, Pomegranate Molasses & Salad (€13.95). 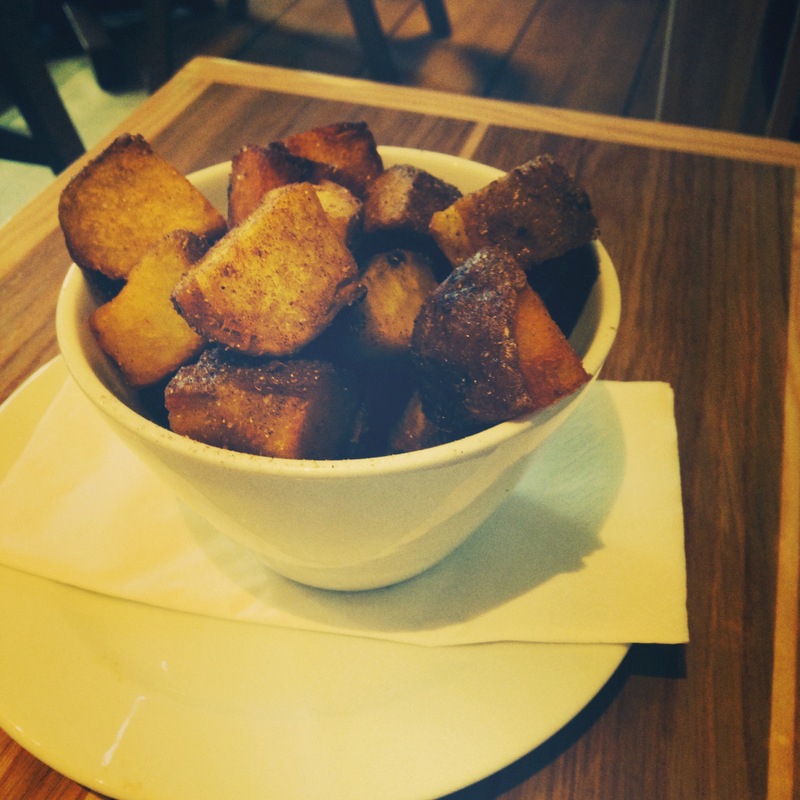 The Lebanese Spiced Potatoes are a lovely side order (€3.95). The Sunday Brunch Menu contains elements of both the Breakfast and All Day menus. Previous PostCashel and the Rock of Cashel, Co Tipperary.